The Gilded Age, lasting from 1865 to World War I, was an era of economic growth never before seen in the history of the world. The standard of living of the modern age was born during this time of phenomenal transition. Lives lengthen. Wealth exploded. The middle class lived better than kings a century earlier. And yet this period in history is mostly ignored in the classroom. Those who do address it are keen to debunk the overall trends and instead focus on the plight of small sectors, generally seeking to debunk the idea that it was a period of growth. The finest response to the "revisionist" view was written by a young Robert Higgs. Fresh out of graduate school and not yet exposed to the Austrian literature, he used the tools he had to shore up the reputation of the Gilded Age and explain that the growth was real and it happened due to free markets and sound money. 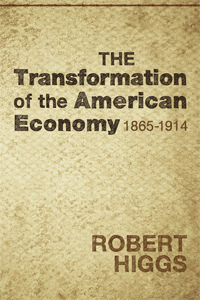 The result is a book that still has no match as a rigorous account of the economic history of the time. Among many other insights, he explains the wonderful effects of population movements from the country to the city and how this led to new forms of communication and sharing of ideas among the commercial classes. He explains how falling prices were not a disaster but rather a benefit to the population. He defends the hands-off approach of the presidency and the absence of bureaucratic management. He shows that this period was the greatest triumph for mankind since the industrial revolution itself. In this new edition, Higgs writes a new introduction to repudiates some of his methodological approach which he now finds to be excessively empirical and not drawing on the causal-realist tradition. That said, the book holds up as an economic history. It is a fantastic thing to have this book available again to counter the propaganda that the Gilded Age was nothing but a time of Robber Barrons and rising class conflict. On the contrary, he argues, the masses have never before (or even after) benefited so much from an economic transformation.